Cinematic Paradox: What Would You Expect from a DVD Store? What Would You Expect from a DVD Store? Okay, I know that most of you can't remember what a DVD store is. Your most recent memory of such a store would probably be an empty shop with a shoddy paint job and maybe some left-over shelves inside. While you may be getting your movies straight to your letterbox or streamed straight from an internet portal, there are still a few DVD stores peppering the universe. So bear with me - even if you haven't been to a DVD store since they ditched videos, this is still a topic worth delving into. What would you expect to get each month? Near the beginning of each month, we get Order to Buys, which is where we order everything that we'll get in store for the next month. Here, we get a pretty huge selection: everything from the big blockbusters to the straight-to-DVD atrocities to the smaller indie fares. Most of the time, we get a bit of everything. Apart from the indies. Now, if a movie makes it to the cinemas, you'd naturally expect it to be at your local DVD store in case you missed seeing it or wanted to catch in again. This is never the case where we are. In the neighbouring city, there are two different cinemas: a larger multiplex for the big titles, and a smaller arthouse/indie cinema which shows the smaller titles. Considering The Artist hasn't made it to either of those cinemas, whatever they do get must be pretty special. Therefore, it should be our duty to follow up their screenings with a couple of DVDs on our shelves. That explains why Melancholia is missing from this month's order. Hmmmm. I understand that there is probably only a select few people in my town who would enjoy an arthouse/indie fare like Melancholia. But I find it a little disheartening when we can spare a bit of space for nine copies of a straight-to-DVD horror that nobody cares about and completely ignore films that made it to the cinemas, had moderate success with the general audience and the critics, and that most people have actually heard of. There are only so many big name blockbusters, so people need something to fall back on after that. After the cinemas have dealt with the movies, it is our job to care for it after that. When we don't care for them, Hollywood wins. And they wonder why there are so many mindless blockbusters. Take a look into the world of DVD buying. We should be providing a range of entertainment. And yes, that range should reach down to the dreaded pretentiousness of Lars von Trier's apocalyptic nightmare. What would you expect about subtitles? This is the thing that disheartens me the most. When those orders roll in, there is always at least one foreign film that I'd really like to see, which made it to the cinemas, and achieved quite a bit of success. Yet, there's no way that I convince anyone to order just one copy for the shop. In Dannevirke, subtitles are like death. 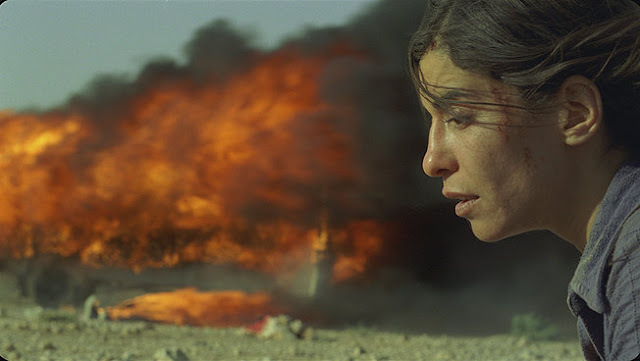 In fact, someone brought up Incendies once, so I asked them if they were okay with it being subtitled. This girl looked at me blankly, and asked, "what are subtitles?" It makes me sad that I live in a world where people think that movies are only in the English language. I totally understand if people don't want to read a movie. Admittedly, I have to pluck up a little courage and be totally in the mood to watch a foreign movie. And while I'm no expert, some of the best movies I've ever seen were not made in the English language. At the moment, foreign films are doing exceptionally well. There's that film Headhunters, which people are calling the next The Girl with the Dragon Tattoo. The Skin I Live In, one of the most highly revered films of 2011. A Separation, one of the most critically acclaimed movies I've seen in quite some time. I can promise you that we'll miss out on at least one of these films. I'll probably have to cut off my own arm so we can get A Separation. The fact that it won an Oscar and everyone loves it holds nothing to the fact that it is subtitled, and we must avoid subtitles like the plague. What would you expect the store to keep? Now, on a different tangent. Take a look at my 1001 page. It is looking pretty thin, isn't it? I'm not even going to point out the essentials that I haven't seen. But you wanna know why I haven't seen them? Because our store doesn't have them. Back in 2008, in the midst of my classic film obsession, I remember going straight to the Drama section, which would be filled with old movies. Since then, they've all been sold off, and the oldest film we're likely to have is The Wizard of Oz. There's the ill-conceived notion that 'old' movies have to be sold off, no matter what. I always dread the time when it comes to sell some of the excess stock off that hasn't rented in a while. Something important always leaves the shop. Once, we lost Forrest Gump. 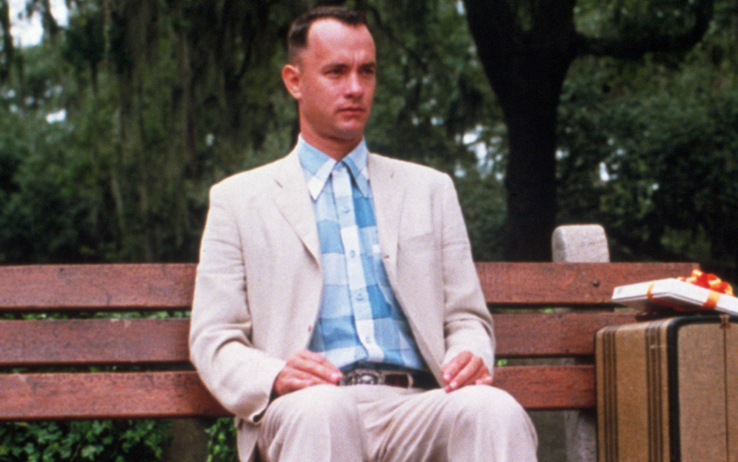 Forrest Gump, a.k.a everyone's favourite film which is on every Christmas, does not exist in our shop. It actually embarrasses me to say such a thing - and I'm afraid, it only gets worse. My favourite film, Memento, was sold in 2008. Now, we can't ever get another copy, as it has gone out of print here. So sad. What's worse is that with Hollywood's love of making sequels and reboots, we don't have the rest of the series to match. Mission Impossible: Ghost Protocol comes out next month: the rest of the series has been sold off. The Amazing Spider-Man is set to hit this year: the rest of the Spiderman's are nowhere to be seen. Pirates of the Caribbean got on some stranger tides: strangely, we don't have any black pearls to go with it. Even if we have some of the series, there's usually something missing: we have all of the Saw's apart from the first one. If we can keep hoards of the straight-to-DVD schlock that has trickled it's way down to the category shelves, then why can't we hold a series together? When it comes down to it, there are bigger fish to fry. It just makes me extremely sad, that's all. To be honest, it is all my own fault, though - I know a lot about films. Too much, maybe. People get annoyed, they tend not to listen to me. Which is sad, because I'm only trying to help. Going to the DVD store, even before my movie obsession, used to be a magical experience. It was a treasure trove of a huge range of entertainment, and it was all about the movies. Times have changed. What is a DVD store that doesn't care about the movies? If you went to a supermarket, you'd expect it to have your bread, milk, eggs, everything you need. They're the bare essentials. Wouldn't you expect the same from a DVD store? In the end, thank God they invented Fatso. I see where you're going with this, and I agree. The sad fact is that a DVD store has to follow the tides and trends of the masses. A couple of years ago, I went scouring in a local Blockbuster (don't know if you have those there--it used to be the DVD rental chain). They always have films for sale, and while many were extra previously-viewed former new releases, there were always a few single titles. I picked up a copy of The Treasure of the Sierra Madre for sale. Y'know, Bogart? "We don't have to show you any steenkin' badges!"? It was for sale for $4. I asked. The clerk told me that no one--not one person in my college (22,000+ students) town (35,000+ residents) had rented that film for two years. And so, onto the sale rack it went. I gave it a good home. But there's no reason I should be evidently the only person in 60,000 who gets to watch it. It's sad, but it's reality. Yeah, our store is a Blockbuster - one of only five in the country. When we started, it used to be the biggest chain here, but that is no more. At least you gave it a good home. I'd like to track down some of the other ones we've lost along the way. And yes, it is sad. But oh well, that's life. "The dreaded pretentiousness of Lars von Trier's apocalyptic nightmare." I'm going to forget you said that. I agree with what you've said 100%. I still go to my local DVD shop once a week, as they have a nice selection of arthouse movies, thankfully. In fact, our local shop can be pretty weird - in mostly good ways. They have a nice mixture of rare foreign films and popular ones, but you have to do some digging to find the good stuff. However, it is thanks to them that I've seen some of my favourite films: THE PIANO TEACHER, 4 MONTHS 3 WEEKS AND 2 DAYS, THE BROWN BUNNY, STRANGER THAN PARADISE, INLAND EMPIRE, NAPOLEON and many more. It is sad though that most DVD shops that exist nowadays don't stock much at all. Fatso has the good stuff, and there are thousands of foreign films being uploaded to YouTube every day that I'm lucky enough to catch, if I'm subscribed to the right people. In fact, just today I lucked out and found a newly uploaded copy of a very new foreign film that has been quite successful but skipped the DVD shops entirely: LE QUATTRO VOLTE. I also have about 300 others in my favourites, and I'm tackling them one by one. It also looks like another big film that's the king of my watchlist, SCENES FROM A MARRIAGE, will have to be purchased via Amazon. Sigh. It is a hyperbole. We are taught to use those in these kinds of argument posts. I wish I had your shop. Mind you, there are some strange choices that have trickled their way through into the category shelves - The Piano Teacher, amazingly, is still there. YouTube is really good that way. That's how I catch up on all the classic movies (in fact, youtube was where I first saw my favourite film, Memento). Sometimes, it isn't the store's fault - some suppliers choose not to market their films in NZ. That's the worst case of all. great post. i'm with you on this one. it's truly sad that people refuse to watch movies because they aren't in English. Thanks! I know - it is actually quite shocking! I'm saddened by the loss of DVD stores here in America. My local Blockbuster that was across from my neighborhood has just closed. The last things I bought there for a few bucks each were Meek's Cutoff and Cave of Forgotten Dreams. One of the places I used to hang out nearby my house was a place called the Disc-Go Round. For six years up until it closed, it was this great used CD/DVD store that always had a lot of stuff. Whenever I had money, I would buy something from that place. I bought a 3-disc box set of La Dolce Vita for $30, which was half the retail price. The last thing I bought there was the 2-disc Criterion DVD set for The Man Who Fell to Earth. That was a very special place for me because of the obscure titles it would have and such for a very good price while the DVDs themselves were in very good condition. There's a shop like that down in Christchurch which I went to before the earthquake - I would buy something from there all the time if I had the money. Those places are truly magical to me. Yeah, that's usually the case with our store. Lovely write-up. I know what it feels like to go to a DVD store. Now I make do by browsing HMV for hours much to the annoyance of my family members. Thanks for an insight into DVD store purchasing. Actually my expectation on a DVD stores is better and one type’s of movies are available in one DVD like one to above love stories are one DVD, hunted movies are one DVD, etc. Really I am feeling good for watching these types of selection movies are one by one.